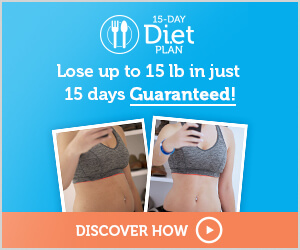 If I tell you that you need to speed up your metabolism to get rid of those boring extra pounds, it shouldn’t come as a surprise. 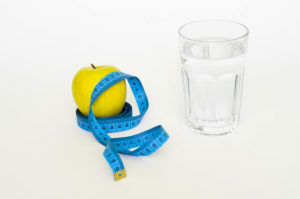 Fast metabolism can help you burn calories faster, and burning calories means losing weight. Losing weight means feeling great when stepping on the scale. The best way to speed up your metabolism is by eating foods that boost metabolism, exercising, and using metabolism boosting supplements. Well, today we’ll talk about metabolism boosting foods. Why is it so important to speed up your metabolism if you want to lose weight? Your metabolism is the energy or number of calories your body burns to maintain your vital functions. Speeding up this process is the key for losing weight, so to achieve that you need to combine ingredients by controlling the intake of calories (1 500 calories to lose weight, 2 000 calories to maintain it) and regular physical activity to fit in those favorite jeans again. So simple and so efficient. If you are seriously thinking about weight loss, you need to drink lots of water. Water is essential for the proper functioning of the cells’ chemical processes and your metabolism as well. To have a fast metabolism you should drink 2 liters of water per day (about 8 glasses). That way you will always stay hydrated and fresh. Drinking two glasses of water before every meal can help you lose up to 300 calories per day. Avoid sodas and alcohol because drinking alcohol on a regular basis may cause blood sugar imbalance and fat layers on your belly. If you can’t avoid alcohol choose red wine instead of liqueurs. If you want to achieve better results, drink cold water because your body needs the energy to raise the temperature and that way it will burn more calories. Green tea is one of the best teas for weight loss. 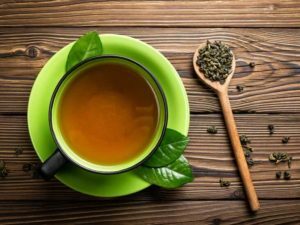 This tea can increase fat burning by transforming fat into free fatty acids. Furthermore, green tea is good zero-calorie food. 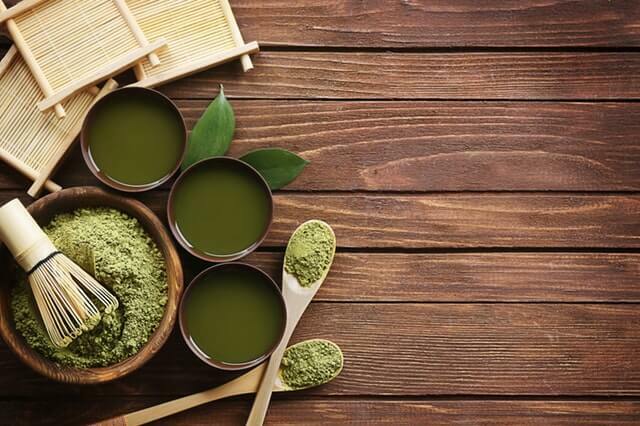 It has been proved that green tea helps the weight loss process by boosting your metabolism, inhibiting the absorption of fats, and regulating glucose. This isn’t due to the caffeine it contains, but due to the high concentration of natural antioxidants called catechin polyphenols. 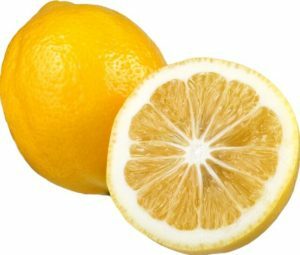 Lemon balances the alkaline acid in your body, helping your body to maintain a stable pH value. That means your body will sustain healthy bacteria and eliminate toxins better, which helps stimulate slow metabolism. Drink a glass of lemon juice and warm water before breakfast. Chili is definitely one of the best foods that boost your metabolism. 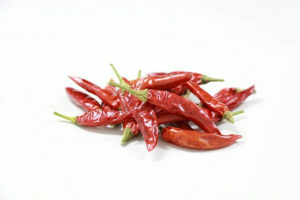 It contains a chemical called capsaicin which improves metabolism by increasing your body temperature (thermogenesis). Also, one chili contains enough beta carotene for your daily needs (which is great for healthy skin, hair, and nails). Furthermore, chili contains twice more vitamin C than the recommended daily amount. Vitamin C is an important antioxidant since it boosts your immune system. All of that contributes to healthy, fast metabolism. If you are vegetarian or vegan try tofu or soy protein instead. Almonds are high in fiber, protein, and essential fatty acids. This combination of nutrients is excellent for decreasing your appetite and boosting your metabolism. 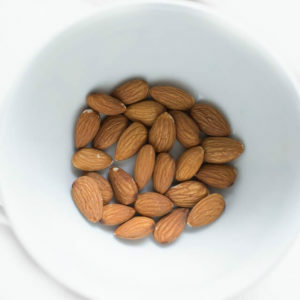 Just make sure you keep an eye on the amount you eat- as every food high in fats, almonds are high in calories, too. Try to add a few almonds to your breakfast with cereals or fruit salad. Healthy fats as those found in olive oil can help you lose weight. 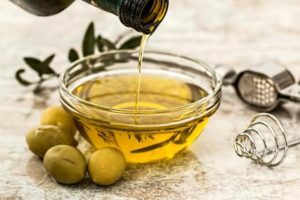 Unsaturated fats in olive oil can help you feel less hungry while the oleic acid found only in olive oil can help break down extra fat in your body. Put olive oil in your salad or use it as a healthy alternative to butter or sunflower oil. 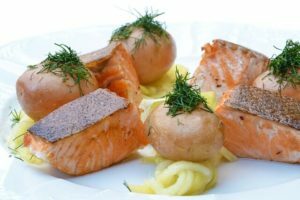 Salmon is high in proteins and loaded with healthy omega 3 fatty acids which can change the level of the leptin hormone. 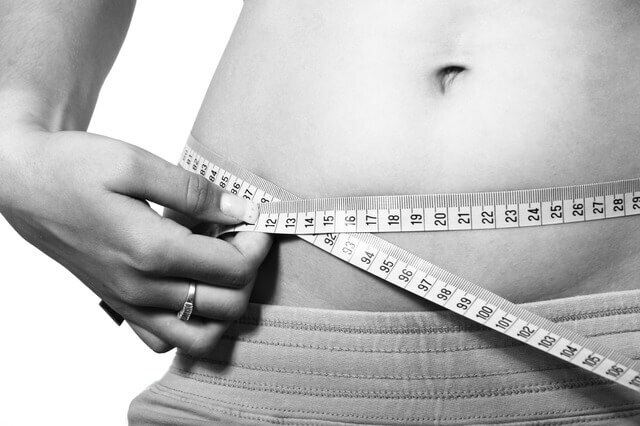 Leptin regulates the intake and consumption of energy which is why is so vital when you want to slim down. 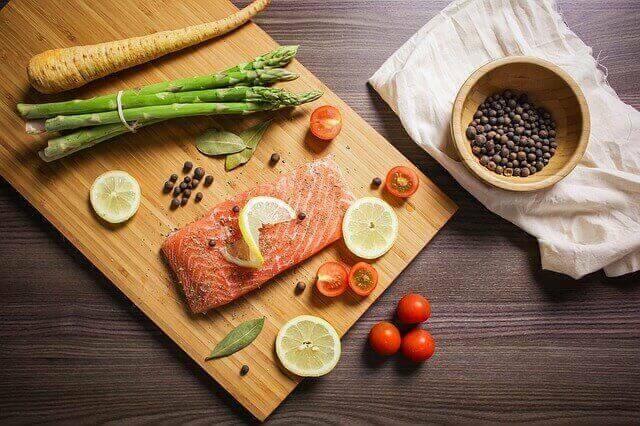 Try to eat 1-2 meals of oily fish a week. Again, if you are vegetarian or vegan, add a handful of sunflower seeds (also high in omega 3 fatty acids) to your breakfast. Ginger is a well-known aid when it comes to digestion problems, it calms down your stomach and it decreases digestive tract inflammation. When you eat ginger you improve your metabolism by increasing body temperature and forcing your body to burn more calories. 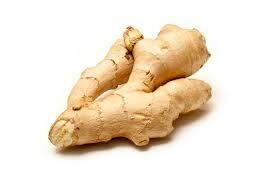 Add it to your food or drink ginger tea to get the best of this powerful plant. Sweet potato is high in complex carbs. Complex carbs high in fiber are the basic source of energy which can help boost your metabolism, regulate the levels of blood sugar, and keep you full. 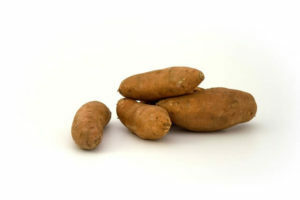 Sweet potato is high in complex carbs and it also contains vitamin B. Tropical fruit such as pineapple contains nutrients necessary for your metabolism. 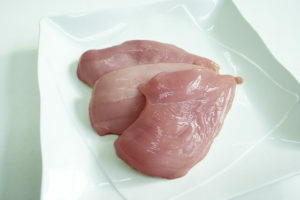 One of those nutrients is iodine which promotes healthy functioning of the thyroid gland. In the meanwhile, a high level of B complex vitamins, potassium, and calcium stimulate blood flow and decrease cholesterol. 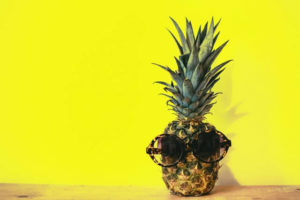 And pineapple is high in all those vitamins and minerals. Well-known ingredient of coffee-caffeine can boost your metabolism by up to 10%. Furthermore, caffeine is the main ingredient of many diet pills due to its properties. So, coffee can significantly improve your metabolism and maintain your weight but don’t exaggerate. 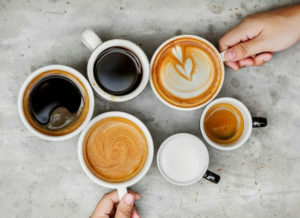 Excessive caffeine can increase heartbeat, give you headaches and insomnia. Another way to speed up metabolism in order to lose weight is by consuming dairy products. These products are effective due to the combination of calcium with other substances from milk. That combination gives signals to your body to speed up the consumption of calories. 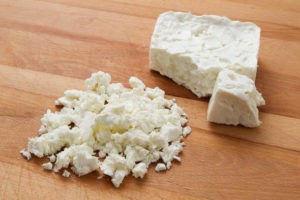 A study has shown that calcium on its own (or found in other ingredients) doesn’t give the same results. It’s necessary to be combined as in milk. So, indulge yourselves in low-fat milk, cheese, and yogurt! This fruit has a bad reputation for no reason. 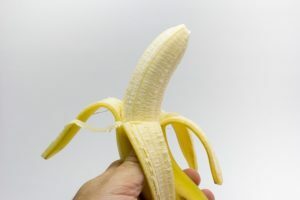 Let’s get things straight-a banana contains up to 500 mg of potassium. Potassium helps your body regulate minerals and liquids in the cells and can potentially enhance your basal metabolism. Bananas contain resistant starch which has a similar function as fiber- the digestion lasts longer, but it reduces the level of blood sugar. Bear in mind that greener bananas are better since they contain more resistant starch. And last, but not least – eggs. Eggs are one of the best protein sources. They contain all nine amino acids your metabolism needs to work faster. 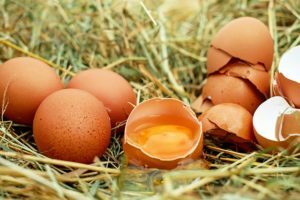 Intake proteins from eggs for breakfast, they keep you full longer. 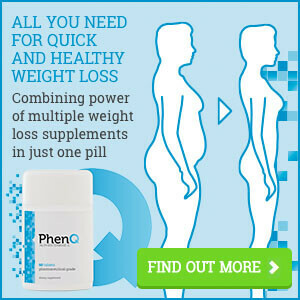 READ MORE: BEST NATURAL SUPPLEMENTS THAT BOOST YOUR METABOLISM FASTER!